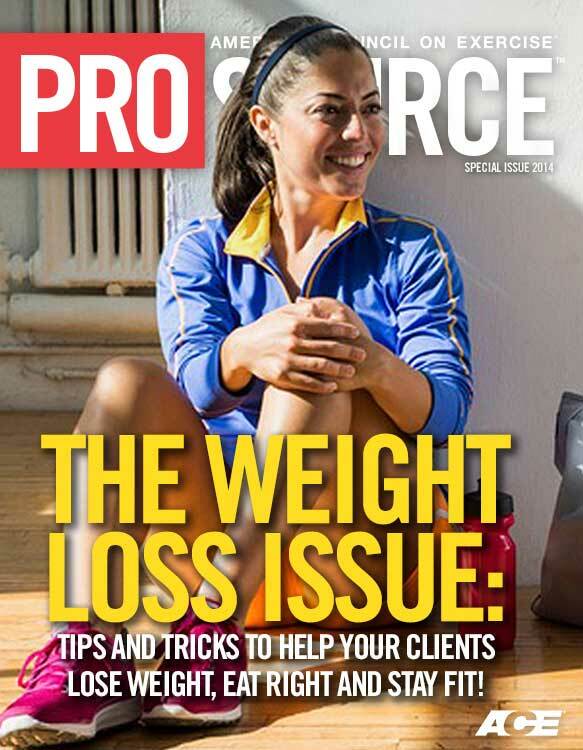 ACE - ProSource™: Weight Loss Special Issue - Can Clients “Cheat” Their Way to Weight Loss? Could Moderate Exercise Be the Key to Losing Weight After All? Is Breakfast as a Weight-loss Strategy Off the Table? Even the most dedicated dieters “cheat” on their programs every once in a while. Many people claim these moments of freedom are what keep them sane when they are struggling to adhere to a weight-loss program. Eating a lighter lunch to save calories for an indulgent dinner is part of learning how to manage one’s diet and is a key aspect of true lifestyle change. Hearing a client say he skipped his two cups of rice at dinner because he knew he wanted to have a cup of frozen yogurt that evening is an indicator that he understands the give and take of a weight-loss program. Of course, there are those instances when an overindulgence is not matched by a compensatory cutting-back elsewhere. And these moments are okay, as long as they are recognized by the client as a temporary lapse and don’t turn into a full relapse into prior behaviors. But what about those clients who allow themselves a “cheat day” every once in a while—a pre-planned day off from the program as opposed to a spur-of-the-moment slip-up? Are these clients setting themselves up for success, or creating a form of self-sabotage? There are two types of cheat days. First, consider a client who has been successfully adhering to a program for a few months and really enjoys a day off from the “stress of counting every single calorie.” She doesn’t go too overboard on her cheat days, but just needs a break from keying every bite of food into her smartphone app. Sure, she may go over her calorie allotment by a few hundred calories, but it’s not much in the big picture. According to Dr. Brehm, simply using the phrase “cheat day” is something fitness professionals and their clients should avoid. “If the goal is to change a client’s attitude toward food, using the word ‘cheat’ is not the best choice.” She explains that this term creates a strong negative association with the very behavior clients are trying to change. “Fitness professionals need to be very mindful of each client’s relationship with food issues,” says Dr. Brehm. Making a client feel bad about being a “cheater” is never a good thing. 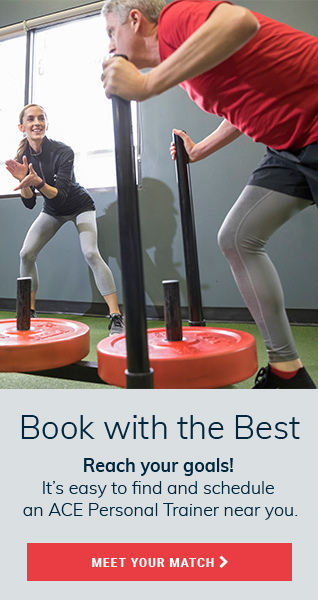 On the other hand, consider another client who sticks to his regimen all week, except Monday nights, when he meets some friends at the bar to eat pizza and wings and drink beer while they watch the football game. This client may be going overboard by nearly 2,000 calories, most of them empty and fat-laden. “There should not be a sharp contrast between the foods one eats and enjoys most of the time and the foods one eats when the rules are relaxed,” says Ross. According to Ross Andersen, Ph.D., Canada Research Chair and Professor of Kinesiology and Medicine at McGill University, metabolically speaking there isn’t too much of a long-term difference between going over one’s calorie allotment by 200 calories 10 days in a row versus consuming 2,000 extra calories during Monday Night Football. Of major concern, though, is the possibility of a client with a cardiovascular or metabolic disorder using a cheat day to eat in a way that contradicts the advice provided by his or her physician or registered dietitian (RD). Fitness professionals must never allow a client to think that their recommendations override those of the physician or RD. 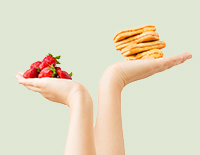 While a very small percentage of your obese clients will be coping with binge eating disorder, which is characterized by recurrent episodes of binge eating without the compensatory behaviors seen in those with bulimia, according to Dr. Brehm many of these clients will have very real issues related to portion control and self-regulation of food intake. This underscores one very real danger of allowing clients to use cheat days as a dieting tactic without first conducting a thorough interview about their past experiences with managing their eating. Imagine the potential for disaster in giving a client with issues related to binge eating a green light to take a day off from the nutrition program to eat whatever he or she wants. The health ramifications in this scenario can go way beyond the unwanted pounds. Self-reflection is also key. Work with your clients to uncover what has and hasn’t worked for them in past. Unfortunately, most “dieters” have a long history of success and failure to unravel, but doing so will provide valuable information. If, for example, one of your client’s weight-loss efforts has been derailed over the holiday season two years in a row—when he has given himself permission to go “off the diet” for a few weeks—you can help him reflect on this pattern and anticipate the approaching obstacles. Better yet, the client can take some preemptive action by strictly adhering to the program in the weeks leading up to the holidays, perhaps by performing a bit more exercise or increasing the intensity of his workouts. With all of these important issues in play—from the negative self-talk involved in “cheating” to the very real possibility of extreme overindulgence—it seems the best option is to avoid the use of the “cheat day” tactic and instead teach clients how to make wise choices as often as possible and to be mindful of how each decision affects their chances of long-term success. In the August 21, 2013, issue of the Journal of the American Medical Association, Sherry L. Pagoto, Ph.D., and Bradley M. Appelhans ,Ph.D., issued “A Call for an End of the Diet Debates,” in which they argued that helping clients lose weight and then maintain that weight loss requires an understanding of biological, behavioral and environmental factors associated with adherence to true lifestyle change, which includes both diet and physical activity. Introducing the “cheat day” to the vernacular is an attempt—though a somewhat misguided one—to account for the likes, dislikes and preferences of the individual client, which should be a primary goal for all fitness professionals. The key is to understand that the quest for weight loss should begin and end with what fits each client’s individual lifestyle, as long as it is a balanced and sound nutritional program. Remember, the goal is to create something that the client can adhere to for a lifetime. 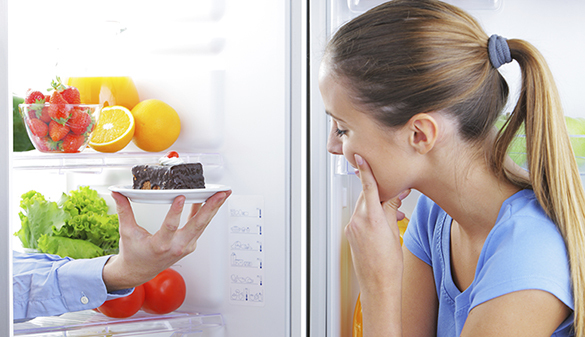 While cheat days are generally considered a bad idea, they could be seen as positive for clients who ___________.